Hansen, Valerie. The Silk Road: A New History with Documents. New York: Oxford University Press, 2016. 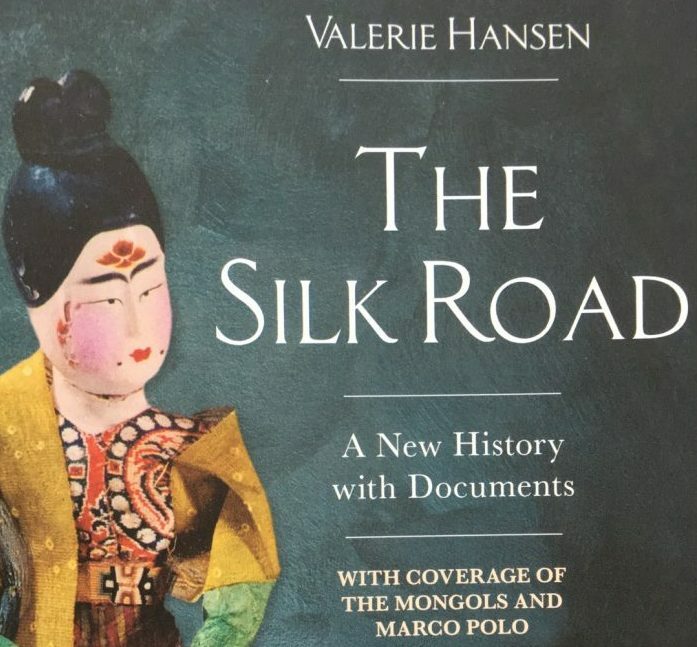 I was recently delighted to receive the new edition of Valerie Hansen’s Silk Road: a New History, originally published in 2012. The original edition was already much acclaimed for being eminently readable and accessible — my much-thumbed edition accompanied me faithfully on two visits around China in 2012 and 2013 — as a guide to the Silk Road, based on up to date scholarship using archaeological and historical sources. It was largely the stories contained in the primary sources which the author drew on that made this such a ‘gripping’ account. The special value of this new edition is that it includes 138 pages of those primary sources, many of which were previously only available in a wide range of specialist academic publications. Some are translated here into English for the first time. The sources range from documents dating from the first century BC written on woodslips found at Xuanquan Fort to excerpts from Charles Blackmore’s travel account Crossing the Desert of Death (1995). They include memoirs of medieval monks, letters written by women, inscriptions, prayers, legal contracts, and many others. A full list of the documents is available here. The new edition also includes an eighth chapter which takes the history up to the period of Mongol rule. Confusingly published with a copyright date of 2017, more information can be had from OUP’s US site. The book is however available in the UK from Amazon. A copy has also been added to the AIIT Library.